Morgan Freeman has played so many roles during his long Hollywood career it’s difficult to keep track, but his newest role may prove to be his most important. The actor has turned his 124-acre Mississippi ranch into a sanctuary for wild bees, in an effort to help support population growth for the little pollinators. Freeman started beekeeping in 2014 with 26 hives of buzzing babies, and he explained that tons of bee-friendly plants have been planted on his property. Back in 2014, Freeman talked to Jimmy Fallon about his new hobby during an appearance on “The Tonight Show.” Having taken up beekeeping just two weeks prior to the interview, the actor described how well he and his bees get along. The actor told Fallon that he doesn’t even need to wear a protective beekeeper’s suit or veil when tending to his precious pollinators, suggesting that he has reached a level of skill and ease akin to his on-screen performances. Freeman didn’t start keeping bees because of a sweet tooth, but rather as a direct response to the mass bee die-offs that have been threatening the survival of wild bees for the past several years. The actor recognized the opportunity to make a difference through personal action, so he imported 26 hives full of bees from Arkansas and started feeding them sugar water. Freeman said he doesn’t wear the beekeeper’s hat and veil because the bees do not sting him, joking that the protective gear is “for people who can’t resonate” with the bees. When Fallon suggested Freeman had become “at one with the bees,” the actor couldn’t help but agree. It’s difficult to measure what kind of an impact Freeman’s efforts may have on the larger bee populations in North America, but his hobby is an inspiring gesture of goodwill toward those tiny living creatures that are often taken for granted. Morgan Freeman turned his Mississippi ranch into a bee sanctuary to help support the tiny pollinators. 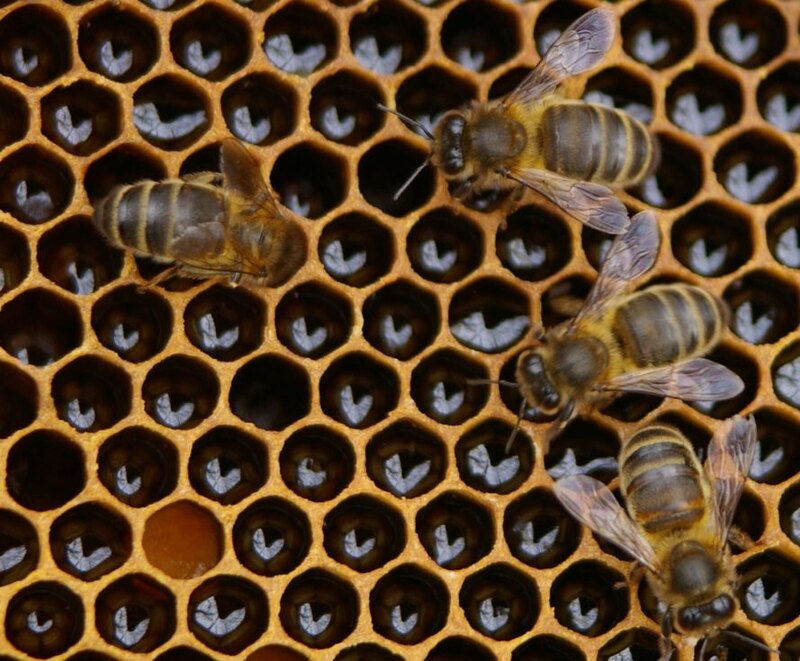 Bee populations across North America have been in steep decline in recent years.